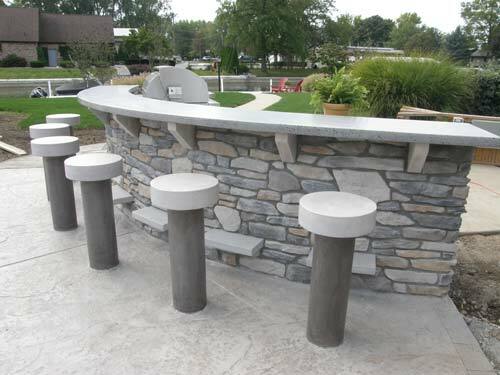 The owners of this backyard bar in Syracuse, Indiana wanted a material for the top and stools that would stand up to the seasonal changes in their area but blend nicely with the surroundings and natural elements incorporated into the base. Decorative concrete offered what they wanted; Kevin Bontrager and his team at Bontrager Concrete, of Nappanee, Indiana fulfilled their request for a custom concrete bar top, concrete stools, and concrete footrests during a three week process. A custom mold was made for the concrete bar stools; the stools were, then, poured in place in just one pour using SureCrete’s Xtreme Series PreCast Concrete Bag Mix. Epoxy and a rod bolted into the concrete slab help to secure each stool. Dove Gray was used in the PreCast Mix for the seats, and Silver for the stems. The seat and stool was sealed with HS 240 Premium Low VOC Clear Concrete Sealer. 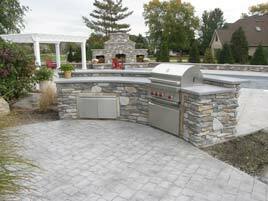 This Low VOC sealer is highly durable and terrific for outdoor use. 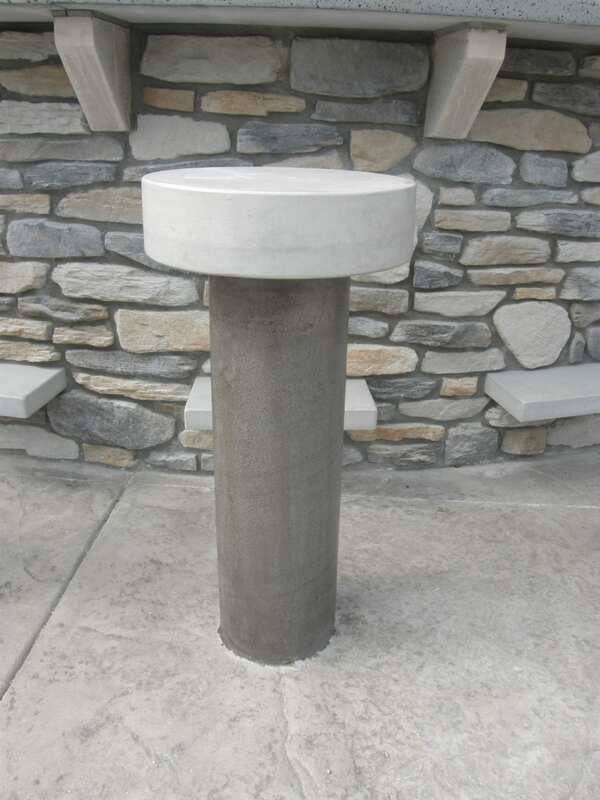 Kevin and his team encountered one obstacle – the line usually left in concrete when using a forming tube, like the one needed for the pedestals of the stools. This was overcome by lining the tube with a special material before pouring. 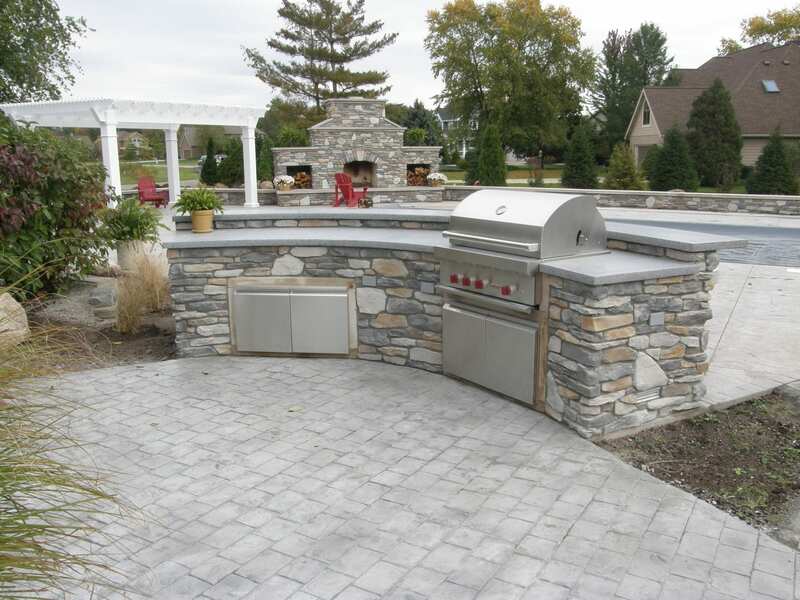 Aggregate was added into Xtreme Series PreCast Concrete Bag Mix to add interest to the concrete bar top. 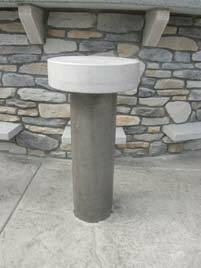 Silver color packs were used to achieve a color that would compliment the natural stone as well as the stem of the stools. The concrete bar top was sealed with XS-327 low VOC concrete countertop sealer. The footrests were, also, made with Pre-Casting mix in the Dove Gray color and sealer with XS-327.